Today's question is easy to answer: What was the most recent RPG you played? 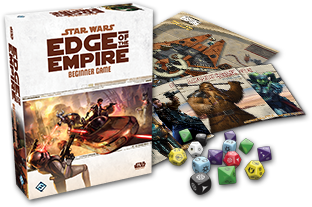 Mine is Star Wars Edge of the Empire Beginner Game by Fantasy Flight Games. I played it solo using the Mythic GME as a tool. You can read the Actual Play Post ħere. 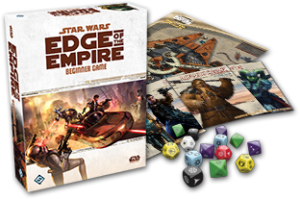 So, what do I like about the Star Wars RPG line by FFG? you can play a Droid! did I mention that it's Star Wars! ?